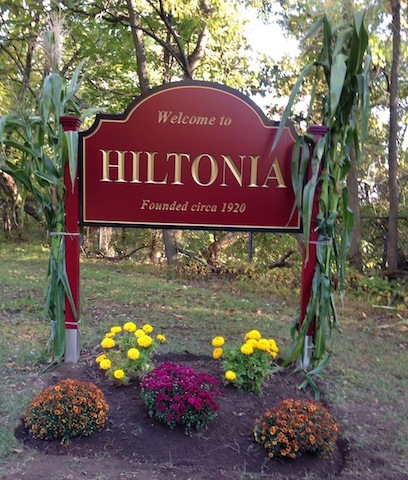 Welcome to the homepage for the Hiltonia Association! Here you can find information about our Association and our neighborhood. Upcoming events can be found along the right hand side of the page via our calendar. This calendar is hosted through Google Calendar, so you can also sync it to your own mail program or mobile device. On your mobile device, click here and follow the prompts and your device should be subscribed to the calendar! The co-president’s official email distribution list is the best way to stay abreast of immediate happenings and concerns in the neighborhood. To have your name added to the co-president’s email list, please send an email from your preferred email address to “dennisawendell@gmail.com“. This list is used to send out messages from the co-presidents, The Hilltone, agendas & minutes for our general business meetings, and any other important events or topics that we want to share with you. The other list is set up through Google Groups. You can visit the group’s archive page here (to search through old emails or to change your subscription preferences). The link above will show all the posts about people’s personal experience with local contractors as well as reviews of other services (babysitting, restaurants, etc) It is in no way meant to endorse a contractor nor is it an official stance on the part of the Association. Each review is a personal comment, good or bad, for the services listed. To find a particular contractor (i.e. plumber, carpenter, etc), go to “Publications-Forms” and drop down to ‘Contractor Recommendations’. We are attempting to gather as much history of the neighborhood as possible. Anything you may have in your basement or attic from any period of time that pertains to the history of the neighborhood (photos, fl yers, articles, etc), please scan and email or hand deliver to any member of the executive board. Or, if it is already scanned, Dennis Wendell, our co-president, has set up a shared folder named “Hiltonia Archives” to store the information. Email Dennis to gain access to the shared folder. We would LOVE to have it! It will all prove helpful as we start to work on a book of history of the neighborhood. This is the area where you will find issues of The Hilltone, minutes from the general meetings, forms that can be downloaded to your computer, and any other “printed” materials from the Association. Be sure to browse through several years of past issues of The Hilltone newsletter! If you have photos from neighborhood events, please submit them for the website! We are missing photos of many great events that the Association has held over the years. It doesn’t matter how long ago the photos are from, just send them in (and let us know when/which event they are from). Each photo gallery is now available by clicking on ‘Photos” with drop-down menus. To see the photos in larger format, click on any photo, and it will expand to a slideshow. The navigational arrows will be to the left and right of the photos. If you find a photo of yourself or family that you want removed for privacy’s sake, please email us and we will remove it. Take a peek at a former Hiltonia website from 2009. It holds lots of info from “back in the day”. Much of the information is very outdated, but it is still interesting to check out. Note: if there is content that is not available on our website, please suggest its inclusion. We aim to make the site relevant and useful, and hopefully easy to navigate. Suggestions are welcome!